(a) Compliance assessments shall consider and document uncertainty in the performance of the disposal system. (b) Probability distributions for uncertain disposal system parameter values used in compliance assessments shall be developed and documented in any compliance application. (3) Estimated dose equivalent received from USDWs pursuant to § 194.52 and § 194.53. (d) The number of estimates generated pursuant to paragraph (c) of this section shall be large enough such that the maximum estimates of doses and concentrations generated exceed the 99th percentile of the population of estimates with at least a 0.95 probability. (2) The full range of estimated radionuclide concentrations. (f) Any compliance application shall document that there is at least a 95 percent level of statistical confidence that the mean and the median of the range of estimated radiation doses and the range of estimated radionuclide concentrations meet the requirements of § 191.15 and part 191, subpart C of this chapter, respectively. The individual and groundwater protection requirements of 40 CFR § 191.15 and 40 CFR Part 191 Subpart C (U.S. EPA 1993) place limitations on both the potential radiation exposure of individuals and the possible levels of radioactive contamination of groundwater caused by disposal of waste in the Waste Isolation Pilot Plant (WIPP). The criteria for compliance are provided in 40 CFR §§ 194.51 through 194.55 (U.S. EPA 1996). The individual protection requirement focuses on the annual radiation dose of a maximally exposed person living on the surface just outside the Land Withdrawal Act boundary. In particular, section 191.15 requires that the WIPP be constructed in such a manner as to provide a reasonable expectation that, for 10,000 years after disposal, undisturbed performance of the disposal system will not cause the annual committed effective dose equivalent (hereafter called "dose") to exceed 15 millirems (mrem) (150 microsieverts) to any member of the public in the accessible environment. Part 191 Subpart C also requires that underground sources of drinking water (USDWs) be protected at least to the extent prescribed by the Safe Drinking Water Act regulations at 40 CFR Part 141 as they existed on January 19, 1994 (per 40 CFR § 191.24(a)(1)). 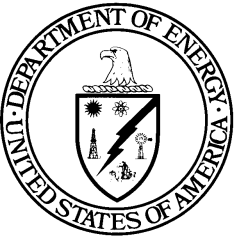 In the Compliance Certification Application (CCA) (U.S. DOE 1996), the U.S. Environmental Protection Agency (EPA) found that the U.S. Department of Energy (DOE) considered uncertainty in two ways: (1) by assigning probability distributions to 57 of the key parameters that describe the repository, and sampling from those distributions to carry out the performance assessment (PA) (see the CCA, Chapter 6.0, pp. 6-21 to 6-23 and 6-173 to 6-199; and Appendix PAR), and (2) by translating from groundwater contaminant level to doses by means of the bounding analysis (see the CCA, Chapter 8.0, and Dials 1997). The DOE's method of evaluation of uncertainty in the amounts of contaminants transported underground was essentially the same as that for the 300 scenarios involving human intrusion in the PA, as presented in the CCA, Chapter 6.0, Section 6.1.2, except that those uncertainties introduced by the borehole drilling process can be ignored. The EPA found this aspect of the treatment of uncertainties to be satisfactory. The EPA reviewed the bounding calculation as presented in the CCA, Chapter 8.0 and supplementary information regarding models and computer codes, parameter values, dose calculations and related topics (Dials 1997) and reported the results of that evaluation in Compliance Application Review Document (CARD) 51/52 (U.S. EPA 1998a). The EPA determined that the DOE's conceptual model and the use of the GENII-A computer code to calculate radiation doses were appropriate. The EPA found this bounding calculation to be acceptable in lieu of further uncertainty analysis (CARD 55, U.S. EPA 1998b). The probability distributions for uncertain disposal system parameter values used for demonstrating compliance with the individual dose and groundwater criteria of section 194.55 are identical to those used for the containment requirements in 40 CFR § 194.34 (U.S. EPA 1996). The EPA concluded that the DOE provided general information in the CCA on probability distributions, data sources for parameter distribution, forms of distributions, bounds, and importance of parameters to releases. The EPA initially raised concerns about the completeness of the list of PA parameters in the CCA, the descriptions and justifications that support the development of some code input parameters, and the traceability of data reduction and analysis of parameter records. The DOE improved the documentation regarding the basis of parameters, and also developed better "roadmaps" that link parameter documentation and parameter development. Upon subsequent review of records, the EPA determined that the DOE adequately provided the required information for probability distributions of code input parameters (CARD 55, U.S. EPA 1998b). The EPA examined the DOE's use of the Latin hypercube sampling (LHS) procedure and found that the LHS technique draws samples from the entire range of each sampled parameter, was appropriate for use in assessing the concentrations of radionuclides in groundwater, and was implemented correctly by the DOE. The DOE's evaluation of individual doses and groundwater radionuclide contamination and assessment of USDWs were described in the CCA, Chapter 8.0. The EPA evaluated the conceptual model that the DOE used to estimate a maximum individual exposure in its bounding calculation. The EPA determined that the DOE's conceptual model and the use of the GENII-A computer code to calculate the radiation doses were appropriate (CARD 55, U.S. EPA 1998b). Compliance with 40 CFR § 194.55(d) is described in detail in Appendix IGP-2009, Section IGP-2.4. A summary is provided here. The number of estimates generated must be large enough that the probability is at least 0.95 that the maximum estimate exceeds the 99th percentile of the population of estimates. If the 300 realizations were statistically independent, then the probability that the maximum estimate exceeded the 99th percentile of the population of estimates would equal 1 - (0.99)300 = 0.951, and the section 194.55(d) criterion would be satisfied. On that basis, the probability that the maximum estimate exceeds the 99th percentile of the population of estimates exceeded 0.95, and the section 194.55(d) criterion was satisfied. The determination of the groundwater concentration and individual dose was based on the PA analysis of releases to the Salado Formation interbeds. Therefore, the number of estimates of concentrations and doses caused by releases to the interbeds was the same as the number in the PA and was dependent on the same calculations. The EPA concluded that the assessment of 300 realizations of the modeling system meets the requirements of section 194.55(d) (CARD 55, U.S. EPA 1998b). · The estimated doses caused by ingesting water from the USDW were reported in the CCA, Chapter 8.0, Table 8-2. The maximum estimated dose rate from the other relevant pathways (0.46 mrem per year) was reported in the DOE response document (Dials 1997). The all-pathway individual doses were obtained by adding 0.46 mrem per year to those values. The maximum annual dose obtained in this fashion was less than 1 mrem per year (0.93 mrem per year). · The CCA, Chapter 8.0, Section 8.2.3, pp. 8-15 and 8-16, states that the maximum estimated radium (Ra) concentration across the nine nonzero realizations was 2.0 picocuries per liter (pCi/L). · The CCA, Chapter 8.0, Table 8-1 contains the 300 estimated concentrations for the 5 radionuclides: americium-241(241Am), plutonium-239 (239Pu), plutonium-238 (238Pu), uranium-234 (234U), and thorium-230 (230Th), of which only nine were above the selection criteria. The nine radium-226 (226Ra) concentrations were not separately recorded, but the maximum gross alpha-particle concentration, including Ra and excluding radon (Rn) and uranium (U), was reported as 7.81 pCi/L. The confidence interval analysis described below under 40 CFR § 194.55(f) used a more conservative approach that added the total Ra concentration bound (2.0 pCi/L) to the total of the five radionuclide concentrations, including U. · The USDW dose estimates were reported in the CCA, Chapter 8.0, Table 8-2. The EPA found the DOE's calculations to be conservative and therefore acceptable (CARD 55, U.S. EPA 1998b). As part of the CCA certification process, the EPA required the DOE to perform an additional PA termed the Performance Assessment Verification Test (PAVT; EPA 1998c) using modifications to the parameters and codes used in the CCA PA. Since WIPP compliance assessments are based on PA results, the DOE performed additional compliance assessment calculations of individual dose and radioactivity concentration as part of the CCA PAVT. The mean dose calculated in the CCA PAVT from all pathways was an order of magnitude below the limit of section 191.15. Because all radionuclides contributing to the dose were alpha-emitting, the CCA PAVT also demonstrated compliance with the annual dose equivalent to the total body or any internal organ from beta particle and photon radioactivity in USDWs. The mean radionuclide concentrations calculated in the CCA PAVT for alpha-emitting radionuclides (including Ra but excluding Rn and U) and for 226Ra and 228Ra were below the limits of 40 CFR Part 191 Subpart C (U.S. DOE 1997a). The DOE was required to demonstrate that there was at least a 95% level of statistical confidence that the mean and the median of the range of estimated radiation doses were less than 15 mrem per year, and that the range of estimated radionuclide concentrations was compatible (after dilution, as discussed above) with the regulations developed under the Safe Drinking Water Act. The DOE's bounding analysis indirectly verified these requirements by showing that the maximum estimated dose or concentration was always lower than the maximum allowable value. As with the CCA, the CCA PAVT involved groundwater modeling simulations for the undisturbed repository. The results of this modeling projected nonzero groundwater concentrations for 13 of the 300 modeling simulations (as opposed to 9 in the CCA, Appendix PA). The projected groundwater concentrations from the CCA PAVT are found in Summary of EPA-Mandated Performance Assessment Verification Test (Replicate 1) and Comparison with the Compliance Certification Application Calculations (U.S. DOE 1997b), and Supplemental Summary of EPA-Mandated Performance Assessment Verification Test (All Replicates) and Comparison with the Compliance Certification Application Calculations (U.S. DOE 1997c). The EPA found that the mean and median radionuclide concentrations in groundwater calculated in the CCA PAVT complied with the requirements of Part 191, Subpart C both for gross alpha particle radioactivity (including Ra but excluding Rn and U) and for radioactivity concentration for 226Ra and 228Ra (U.S. EPA 1998a). Drinking-water and all-pathways doses corresponding to projected groundwater concentrations in the CCA PAVT were estimated using the modeling methodology established for the CCA. The DOE initially submitted results for the drinking-water pathway only, where the largest dose value was 3.2 × 10-2 mrem per year (U.S. DOE 1997a, Table 3). Later, in its Summary of the EPA-Mandated Performance Assessment Verification Test Results for Individual Protection Requirements , the DOE calculated 3.1 × 10-2 mrem per year for all other pathways combined (U.S. DOE 1997d, Table 5). This calculation again resulted in a value two orders of magnitude less than the 15 mrem per year requirement. The EPA's calculation of the total body dose from the DOE's concentrations for the 13 nonzero realizations yielded a maximum value of 3.1 × 10-1 mrem per year (U.S. EPA 1998d). The DOE's PAVT analysis of beta, electron, and photon doses to the whole body and to individual internal organs is shown in its Summary of the EPA Mandated Performance Assessment Verification Test Results for Individual Protection Requirements (U.S. DOE 1997d, Table 3). The DOE demonstrated that the largest organ dose is 2.9 × 10-4 mrem per year on the bone surface. The analysis also showed that the maximum effective dose from beta, electron, and photon emissions is 1.5 × 10-5 mrem per year. Results of the CCA PAVT thus showed that the mean dose contributions from both alpha-emitting radionuclides and from photon- and beta-emitting radionuclides were below the limits in section 191.15 and Part 191 Subpart C.
Based on its review of the material provided by the DOE in the CCA and additional information from the CCA PAVT, the EPA concluded that the DOE demonstrated compliance with the requirements of section 194.55. A complete description of the EPA's 1998 Certification Decision for section 194.55 is found in U.S. EPA 1998e. The DOE's methodology for demonstrating compliance with section 194.55 did not change since the CCA. The CRA-2004, Chapter 8.0 described the DOE's compliance with the individual and groundwater protection requirements (U.S. DOE 2004). The DOE considered and documented uncertainty as required by 40 CFR § 194.55(a), in the CRA-2004, Section 6.1.2. As noted in the CRA-2004, Chapter 8.0, Section 8.1.5, parameter uncertainty was discussed in Appendix PA-2004, Attachment PAR to verify compliance with 40 CFR § 194.55(b). The CRA-2004, Chapter 8.0 describes how the DOE calculated the effective dose and dose equivalent as required by section 194.55(c). The CRA-2004, Chapter 8.0, Section 8.1.4 also noted that the DOE's selection of more than 298 sampled vectors fulfilled the requirements of 40 CFR § 194.55(d). The DOE also noted in the CRA-2004, Chapter 8.0, Section 8.1.4 that their bounding analysis adequately fulfilled the requirements of section 194.55(f). The CRA-2004, Chapter 8.0, Section 8.1 showed how the DOE considered the full range of estimated radiation doses and radionuclide concentrations as required by section 194.55(e). The EPA reviewed the DOE's CRA-2004 documents, in particular Chapter 8.0. The EPA found that little had changed since the original certification decision. The EPA did not receive any public comments on the DOE's continued compliance with the compliance assessment requirements of section 194.55. The EPA concluded that the DOE continued to demonstrate compliance with the requirements of section 194.55 (CARD 55, U.S. EPA 2006). · As indicated in Appendix IGP-2009, Section IGP-2.1 , parameter uncertainty was discussed in Fox 2008, which demonstrated compliance with section 194.55(b). · Appendix IGP-2009, Section IGP-2.2 described how the DOE calculated the effective dose and dose equivalent as required by 40 CFR § 194.55(c). · Appendix IGP-2009, Section IGP-2.4 also explained that the DOE's selection of more than 298 sampled vectors fulfilled the requirements of section 194.55(d). · Appendix IGP-2009, Sections IGP-2.1 and 2.2 demonstrated that the DOE considered the full range of estimated radionuclide concentrations and radiation doses as required by section 194.55(e). · Appendix IGP-2009, Section IGP-2.4 demonstrated that the DOE's bounding analysis approach meet the requirements of section 194.55(f). Based on this information, the DOE believed that continued compliance with the provisions of section 194.55 was demonstrated at that time. The EPA reviewed the DOE's CRA-2009 documents and found that little had changed since the original certification decision. The EPA did not receive any public comments on the DOE's continued compliance with the requirements of section 194.55. The EPA concluded that the DOE continued to demonstrate compliance with the requirements of section 194.55 (CARD 55, U.S. EPA 2010). · As indicated in Appendix IGP-2014, Section IGP-2.1 , parameter uncertainty is discussed in Kicker and Herrick 2013, which demonstrates compliance with section 194.55(b). · Appendix IGP-2014, Section IGP-2.2 describes how the DOE calculates the effective dose and dose equivalent as required by 40 CFR § 194.55(c). · Appendix IGP-2014, Section IGP-2.4 also explains that the DOE's selection of more than 298 sampled vectors fulfills the requirements of section 194.55(d). · Appendix IGP-2014, Sections IGP-2.1 and 2.2 demonstrate that the DOE considered the full range of estimated radionuclide concentrations and radiation doses as required by section 194.55(e). · Appendix IGP-2014, Section IGP-2.4 demonstrates that the DOE's bounding analysis approach meets the requirements of section 194.55(f). Based on this information, the DOE believes that continued compliance with the provisions of section 194.55 is demonstrated.